♦ Operate at the highest level of integrity and do business with those who follow the same principle. We want to succeed, but we want to succeed the right way. 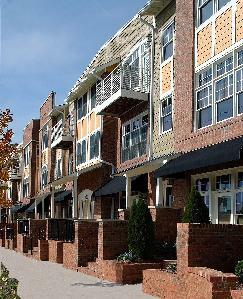 ♦ Develop purpose-built communities that are innovative, high quality and environmentally sustainable. ♦ Enhance the built environment by creating places people enjoy and through urban revitalization and site-responsive design. ♦ Meet or exceed each investment's financial goals. Sometimes this requires "out of the box" thinking. ♦ Provide our clients and investors with the highest level of personalized service while treating their investments as if they are our own. ♦ Create a company culture that makes our associates look forward to coming to work each day and one that provides an opportunity for them to grow professionally and personally. ♦ Remain focused on the niches we have established for the company. ♦ Hard work is essential for success, but life is too short for work not to be fun. 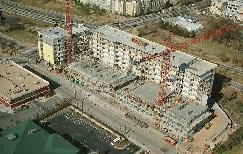 "The InVision Group strives to be one of the most respected companies in the real estate industry. Our team of seasoned and talented professionals is committed to the highest level of success and integrity. This translates directly into value and investment performance for our residents, tenants, investors and clients."